Hello, fellow cat people! 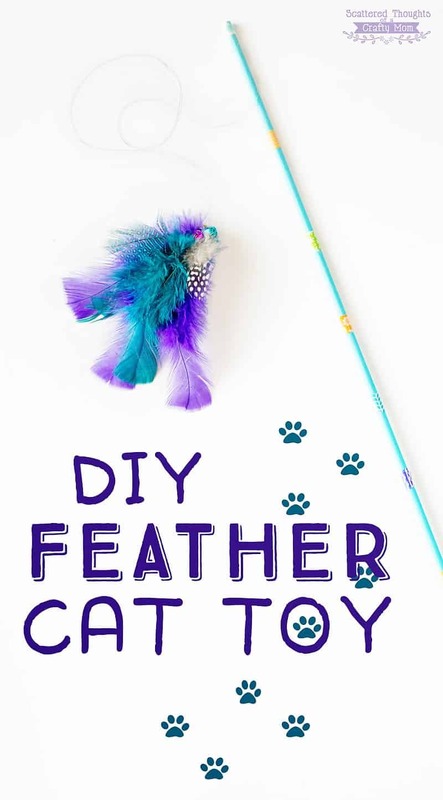 I’ve got the cutest little DIY Feather Cat Toy Craft to share with you today. This is a sponsored post written by me on behalf of Healthy Pet. All opinions are 100% mine. We are definitely a cat family. We have 7-year-old Rocky (featured in today’s post) and sweet Callie who is still going strong at around 18 years of age. Both cats love to play, and since school is out, they’ve been getting tons more attention that they are used to getting. I know Callie’s loving all the extra attention, but poor Rocky has never been a fan of playtime with the kids. To save Rocky from another game of dress up, (poor cat, I have so many pictures like this, lol) I decided to redirect the kid’s attention to a craft that is more suited to our cat’s personality. Toys! 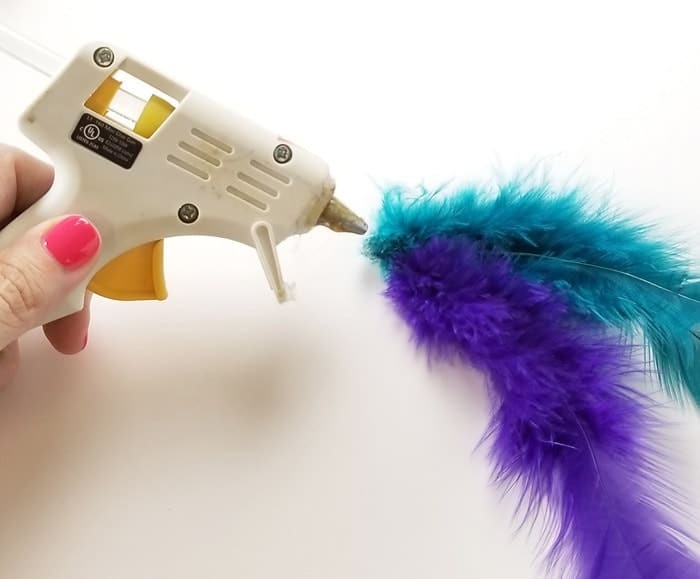 This feather cat toy craft was a success with the cats and the kids! Win/Win! We consider our pets to be part of the family and I always want to make the right choices and what’s best for everybody. 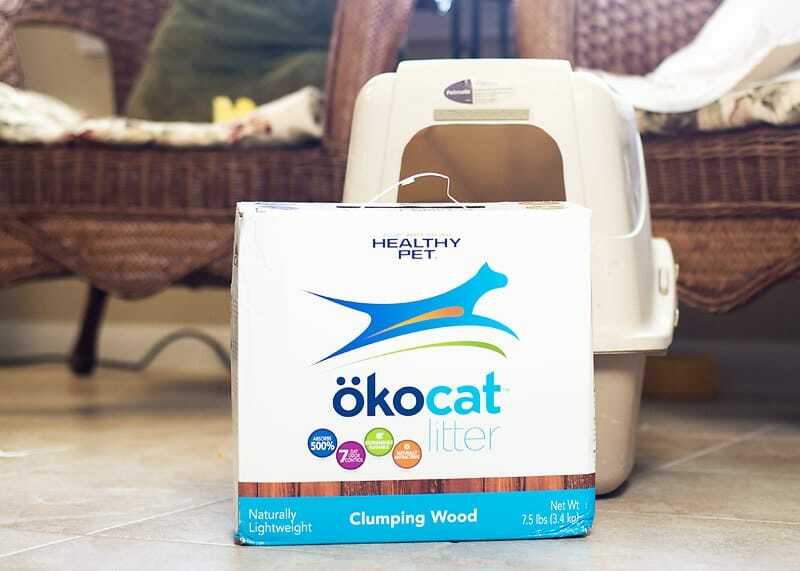 I was recently introduced to a new (to me) brand of cat litter, ökocat from Healthy Pet. Did you know clay-based cat litters generate over 2.5BB pounds of landfill waste every year in North America? And clay litter is not biodegradable – I had no idea! 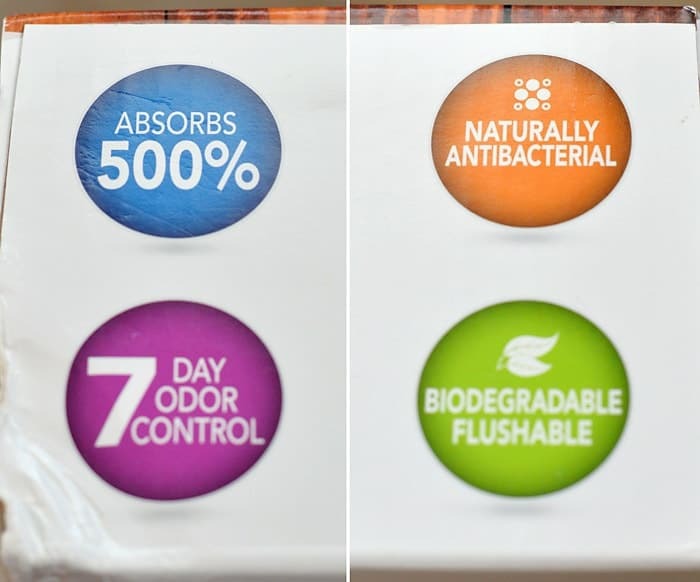 ökocat is a natural, biodegradable litter that delivers 7-day odor control. ökocat is made from fallen timber and unused lumber; is free from harmful chemicals and is 100% biodegradable. (You can even flush it!) Plus it’s naturally lightweight (yay for my back) and has little to no airborne dust. I wasn’t sure how picky my cats would be about switching litter, but I wanted to make sure the transition to the ökocat litter went smoothly. I followed the suggestions on the box, which recommended starting out with a few inches of the ökocat at the bottom of the litter box and top it with a thin layer of our existing litter. 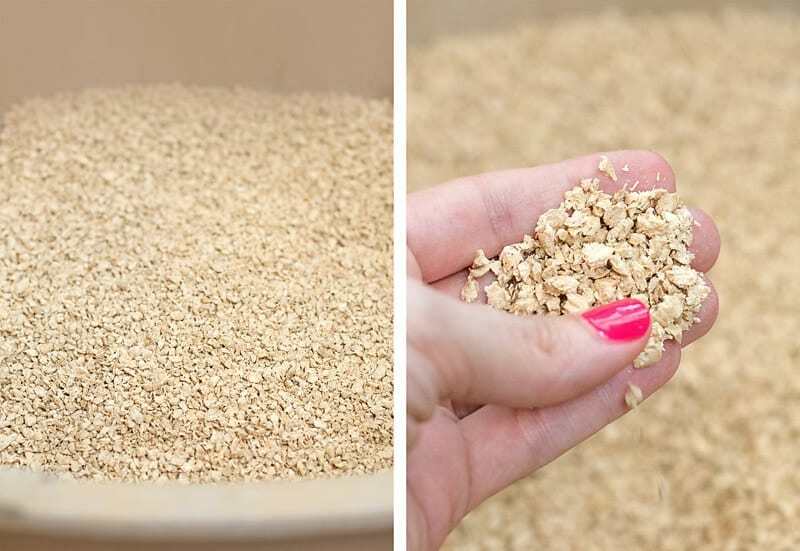 During the week, I scooped the “solids” twice, and noticed, because of the excellent absorption and odor control, I did not have to change out the base litter, so the ökocat litter is lasting much longer than traditional clay litter. I’m happy to have discovered ökocat. It’s time for us to stop settling and be better than clay! 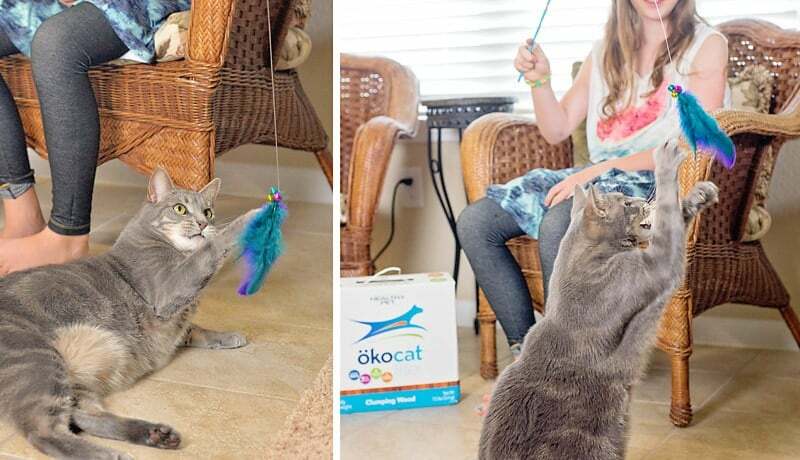 ökocat is available for purchase in over 5,000 grocery and pet stores. Use the store locator to find an ökocat retailer near you. You can also Buy ökocat online at Amazon or Buy on Chewy.com. Make sure you print an ökocat coupon and save today! 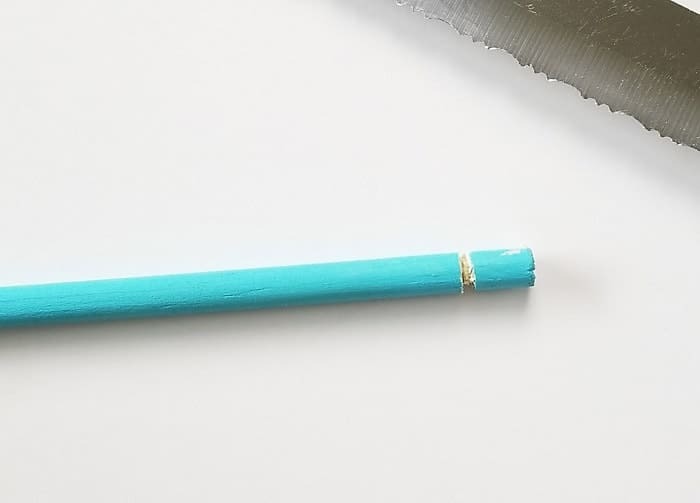 Paint stick and decorate with washi tape if desired. Using a serrated knife, cut a divot around one end of the dowel. 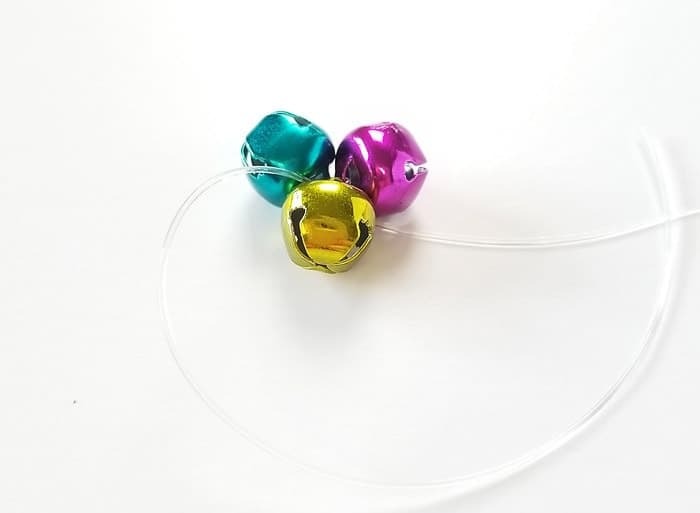 Add the bells to the other end of the string and tie in a secure knot. Leave about 3 inches of string. 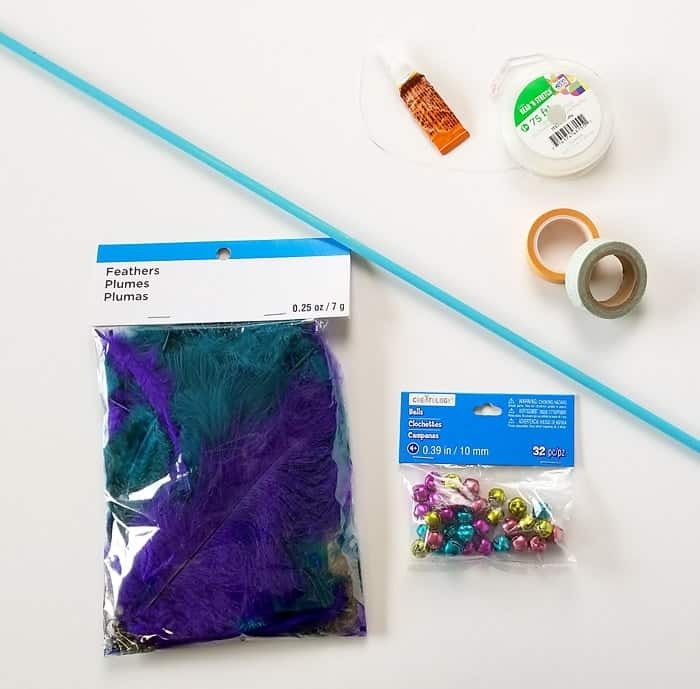 Choose 3 to 5 feathers and glue together at tips. 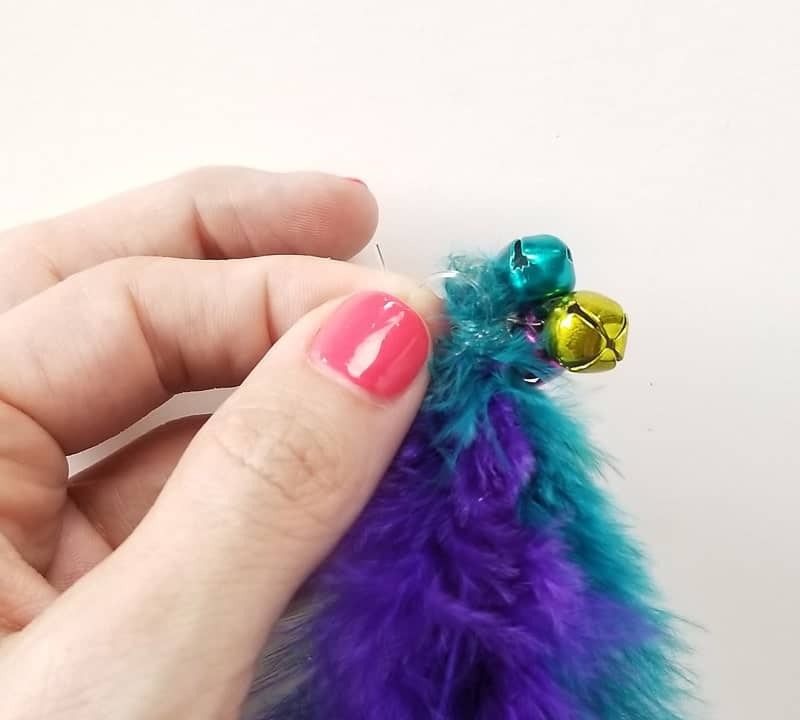 Wrap bells around the glued tips of the feathers and tie securely with a knot. Add a bit of glue to knot to help secure it and trim excess string. That’s it! Now have some fun with your cat! 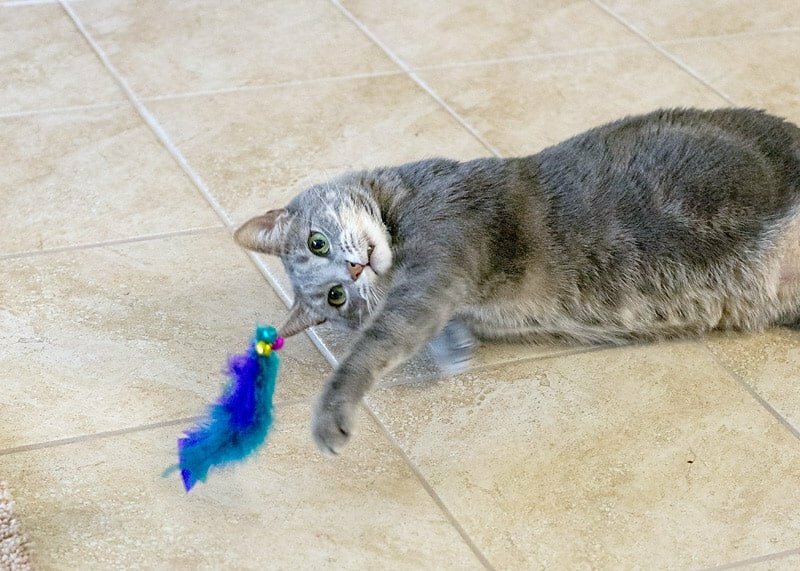 What’s your cat’s favorite toy to play with? Tell us in the comment section below! Your cat wand came out so cute. 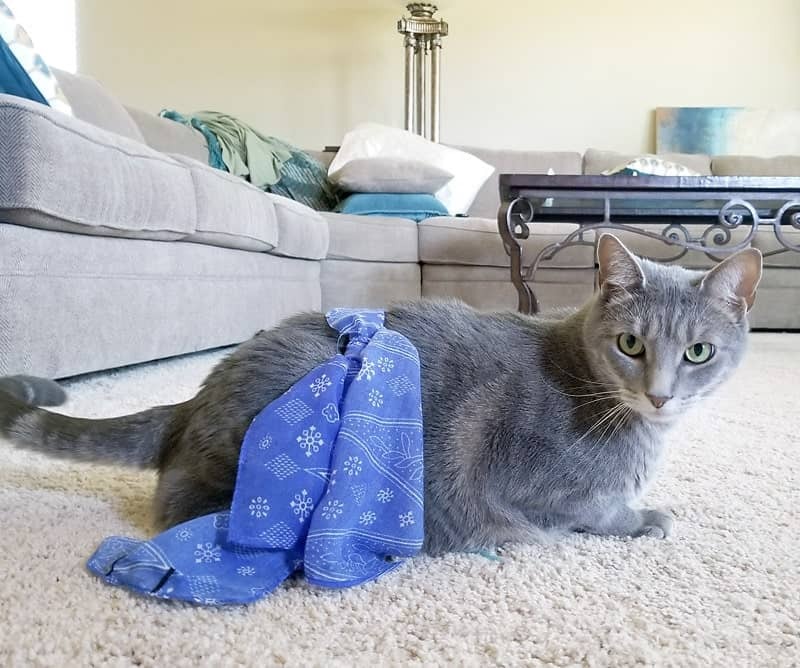 My cat is not that playful so we try everything to get her engaged. 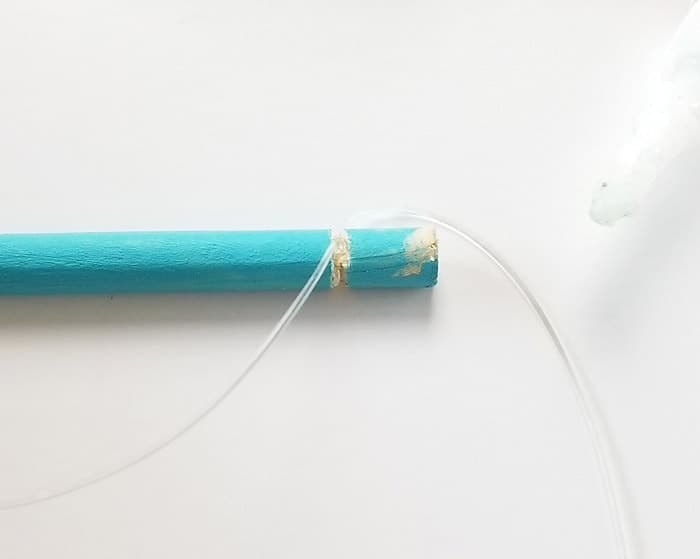 My youngest cat would love that DIY cat toy! Of course, she would also maul the thing to death, but she would have fun doing so! 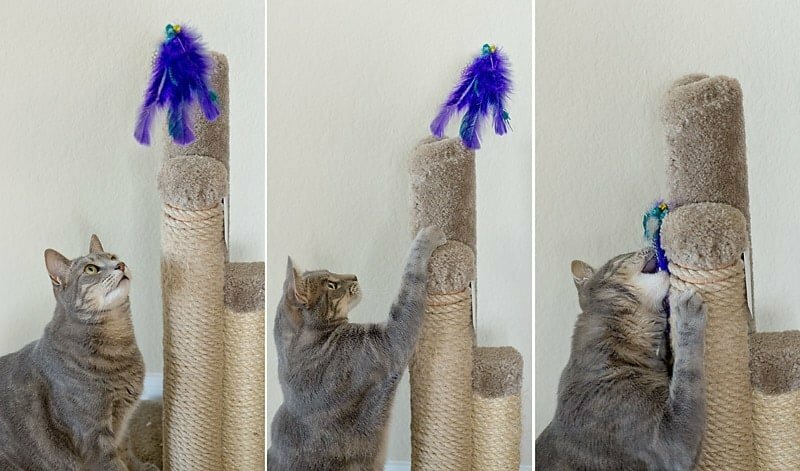 What a super cute DIY cat toy idea. 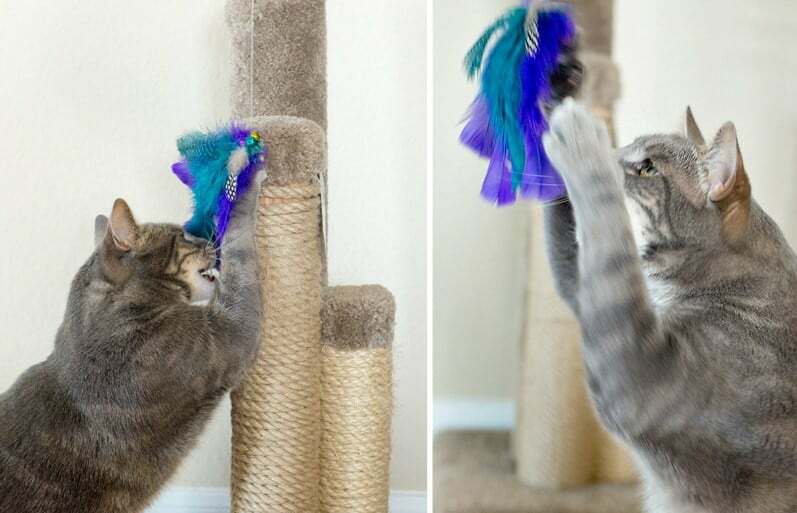 I know cats love feather toys for sure, brilliant and easy enough to make! Our CoCo would LOVE this toy! She’d also have it shredded in less than 10 minutes LOL We’ve tried these kinds of litter for her, but she’s very particular. If she doesn’t have her favorite litter, she using the bathroom rug instead of the litter box. Ewww. So funny to read this while my kids are using one similar right now with the cats. We have one and are babysitting one for a couple of weeks while my granddaughter is vacationing. 😉 It’s fun, actually. Love the cat toy! I love the colors of this toy! I used to have a cat that would have loved this!